Barbara Hemphill is passionate about helping people eliminate the physical, digital, emotional and spiritual clutter that prevents them from accomplishing their work and enjoying their lives. Frequently referred to as “The Paper Tiger Lady,” Barbara started her company in 1978 with a $7 ad in a New York City newspaper. As her business grew, so did her vision. She wanted to be able to offer others the same opportunity that she had: a business of their own that could provide a lucrative income with flexible hours, doing something they love.  Today, Productive Environment Institute includes a growing team of Certified Productive Environment Specialists whose mission is helping clients organize and manage information, ultimately transforming how they work and live. A respected expert in paper, information & time management, and work/life balance, Barbara’s books include Kiplinger’s Taming the Paper Tiger series; Love It or Lose It: Living Clutter-Free Forever; Bushido Business, co-authored by Stephen M.R. Covey, Tom Hopkins, and Brian Tracy; Organizing Paper @Home: What to Toss and How to Find the Rest, co-authored by Jennifer Suarez; and her latest release, Less Clutter More Life, illustrated by Louise Wannier. Spanning a 38-year career on the cutting edge of a growing industry, Barbara has appeared on the Today Show and Good Morning America, in Reader’s Digest, USA Today, Kiplinger’s Personal Finance, The New York Times, Real Simple, and Guideposts magazine. She is past president of the National Association of Professional Organizers, a winner of the Founder’s Award, and a two-time winner of the President’s Award. An adventurer as well as an innovator, Barbara has lived in the West Indies, India, New York City, and Washington, DC. While living in India in the 1970’s, she adopted three children. In addition, her family includes two stepchildren, four grandchildren, and her beloved one-of-a-kind husband Alfred Taylor, with whom she shares their own Productive Environment™ near Raleigh, NC. Barbara Hemphill describes her working relationship with PEI President, Andrea Anderson as Peanut Butter & Jelly. In the early 90’s while Barbara was launching her Taming the Paper Tiger book series, Andrea was earning a degree in Elementary Education at the University of North Carolina at Wilmington. Although she loved teaching, Andrea took a position in the Family Preservation field, where for approximately 10 years, she worked as an Intensive In-Home Family Counselor. She worked with troubled children and their families to establish routines and systems in order to help parents create order in their lives so they could provide proper structure and support for their children. Although the counseling work was rewarding, Andrea realized her real interest was in organizing the company’s offices and creating systems to streamline the massive amount of paperwork that she and her colleagues were required to do. So she requested to be moved into an administrative role, and eventually became the Operations Manager for the company. Andrea’s experience in Education, Family Systems, and Administrative Operations proved to be the perfect training ground for the role she was destined for—working with Barbara Hemphill in the organizing and productivity industry—which, of course, is all about educating people about systems and streamlining operations. Barbara Hemphill defines a Productive Environment as “an intentional setting where you can accomplish your work and enjoy your life.” With a view of the ocean from her home office in Carolina Beach, NC, Andrea is doing just that.